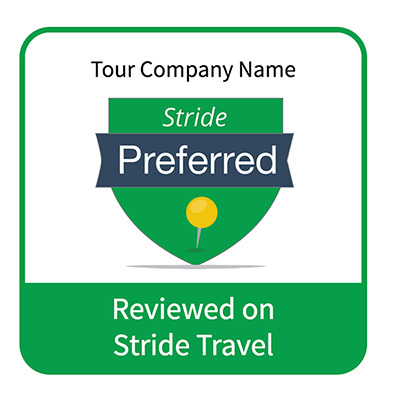 Stride Travel Review widgets allow you to easily add a bit of HTML code to your website to proudly displays your tour operator's review status. 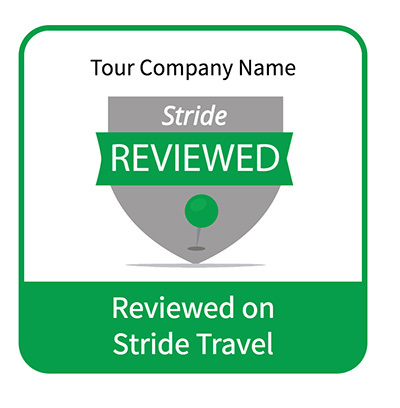 Each widget is linked to your company's Stride supplier profile to easily show customers your reviews on Stride. 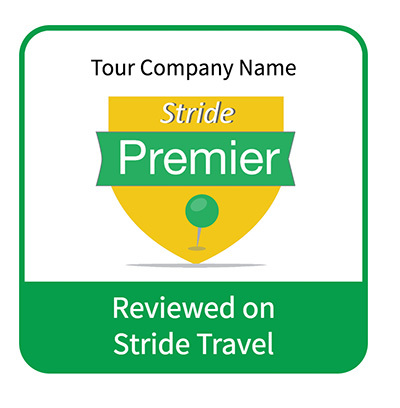 Fill out the form below to generate the Stride Reviews Badge Widget (125 x 125 px) for your tour company. The HTML code will be emailed to you immediately.